Looking to set up teammates before scoring is something of a lost art in high school basketball, even for many point guards. Myck Kabongo could be compared to a vintage painting, and college coaches have been admiring the rare find for years. 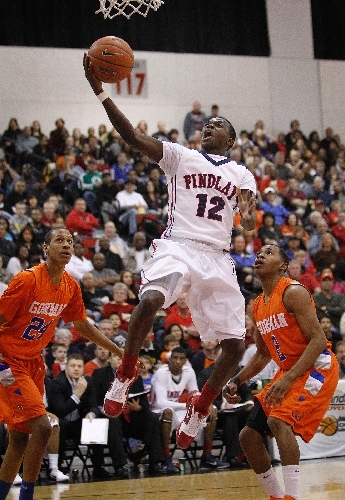 Pilots coach Michael Peck knew he was getting a real floor general when Kabongo decided to transfer from St. Benedict’s (N.J.) to Findlay Prep entering his senior year. With Kabongo at the controls, the Pilots have flown to a 21-2 start and are once again hovering near the top of several national polls. Kabongo has proven he can take over as a scorer when needed. The 6-foot-2-inch speedster used an array of moves to get to the basket and score 26 points in an 89-86 double-overtime win over Bishop Gorman on Saturday. But the key play came when he dished the ball to teammate Kevin Kaspar for an open 3-pointer just before time expired to seal the win. Kabongo styles his game after Rajon Rondo of the Boston Celtics. If he finishes scoreless but every other starter scores in double figures, it’d be a perfect night — given the Pilots win. 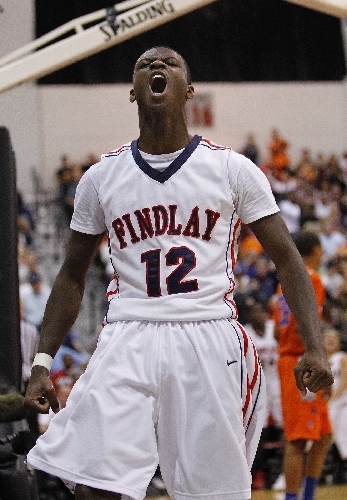 In November, Kabongo became the latest in a growing line of Findlay Prep standouts to sign with Texas. Kabongo, who is originally from the Toronto area, takes pride in the fact that two other Ontario natives who played for Findlay Prep are shining as Texas freshmen this season. Point guard Cory Joseph and power forward Tristan Thompson are in the Longhorns’ starting lineup only a year after leading the Pilots to a repeat National High School Invitational title. Kabongo looks at the growing talent pool in Canada, including his close friends Joseph and Thompson, and hopes the trio can one day play in the Olympics together. Peck said he expects Kabongo to be as prepared for the next level as Thompson and Joseph were because of the college-like travel and national schedule that players encounter with Findlay Prep. Kabongo won’t carry a sense of entitlement into college despite garnering seemingly endless hype from recruiting services billing him as a future NBA point guard. Of that, the Pilots have no doubt. Contact reporter Tristan Aird at taird@reviewjournal.com or 702-387-5203.